Yes, the ultimate. This is is. 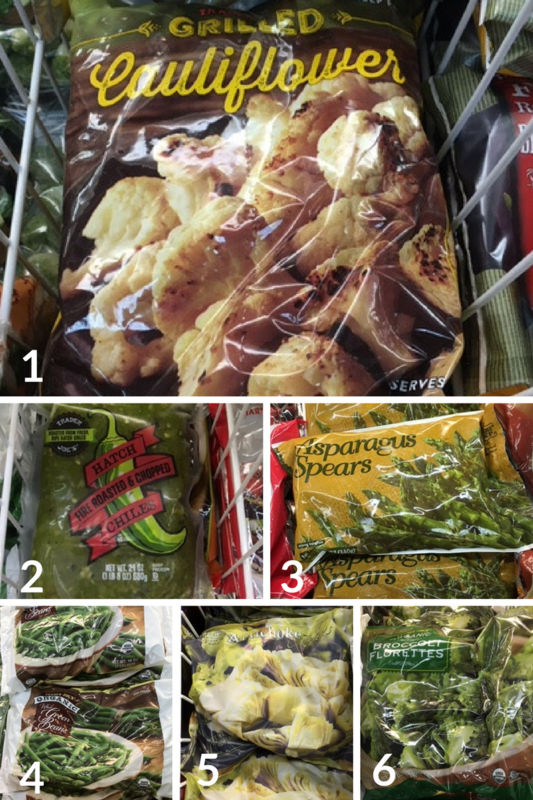 Trader Joe’s is my happy place, so naturally I had to scour out the entire store to compile the ultimate Trader Joe’s Whole30 shopping list. 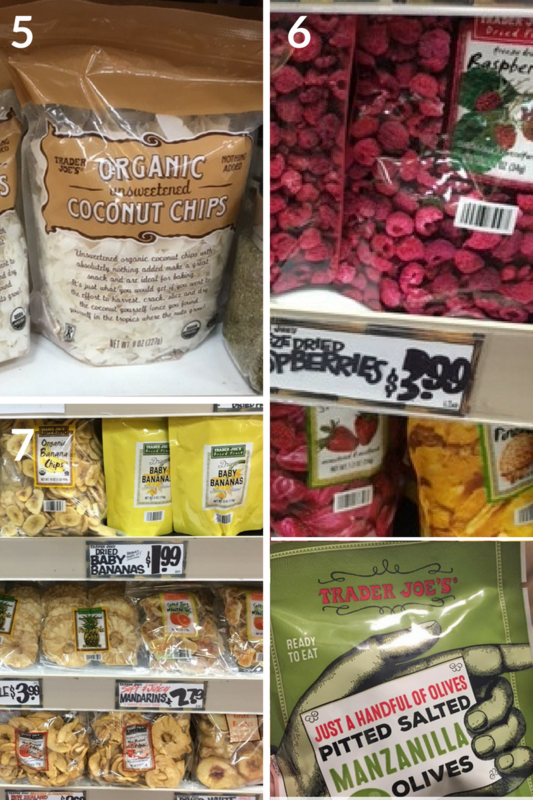 I am SO SORRY to those who don’t have a Trader Joe’s in their city. Sorry for this post that’s basically meaningless to you, and sorry you cannot experience all the wonder that Mr. TJ offers. 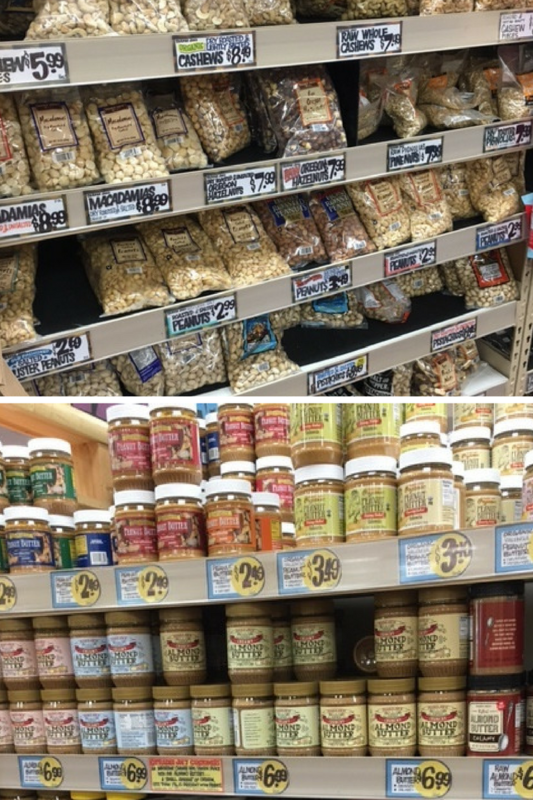 Every time we move to a new city (which happens a lot with my husband’s job), the first (ok maybe like the 26th) thing I do is find the nearest Trader Joe’s. I NEED that place in my life. 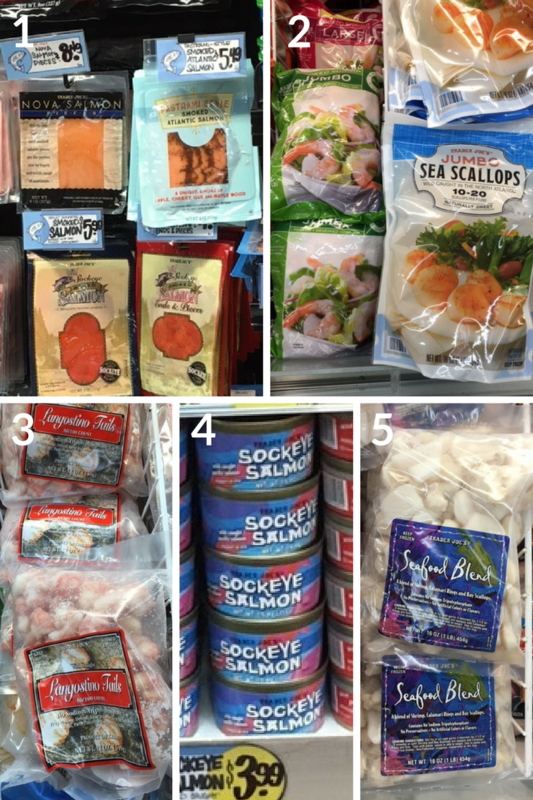 Affordable foods, unique eats, great selection, amazingly friendly people, and TONS of Whole30 options that won’t break the bank. 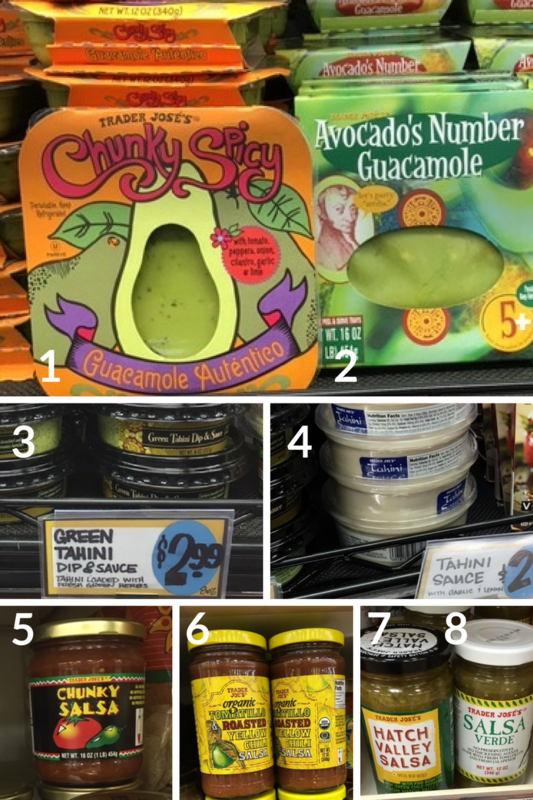 You know you’re a true foodie if you’d rather spend an hour at Trader Joe’s checking out all the selection that go shoe shopping. Yes, this is my life. And I’m proud to be a food-obsessed weirdo like that. 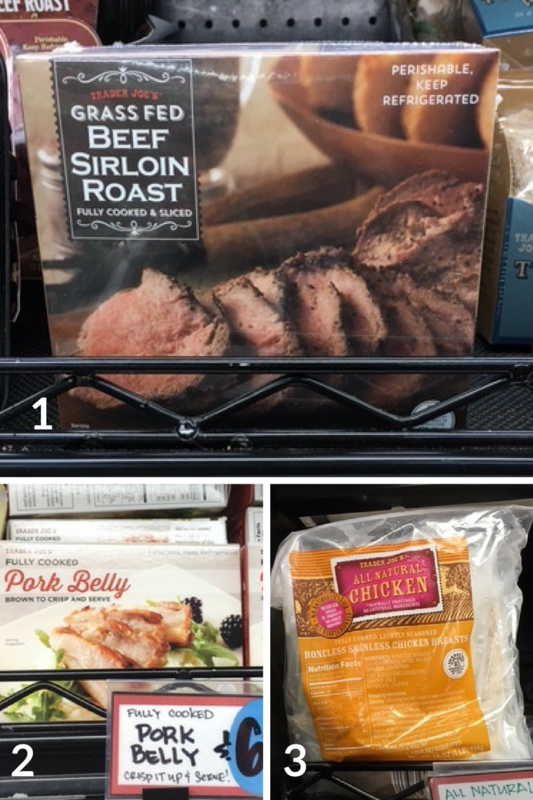 Now there are many many basic things TJ’s offer for your Whole30 journey – like grass-fed beef or organic chicken breasts, broccoli and carrots, bananas and apples, fresh herbs…you get the picture. 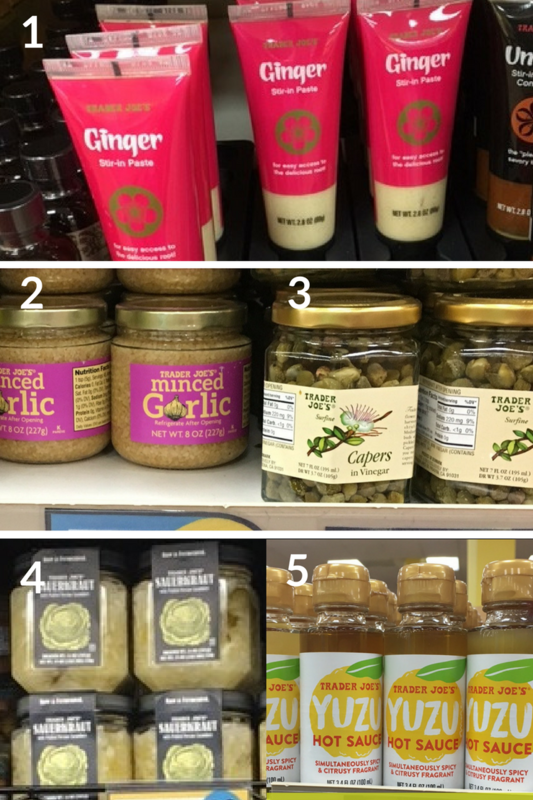 Those ‘duh’ items at any grocery story. 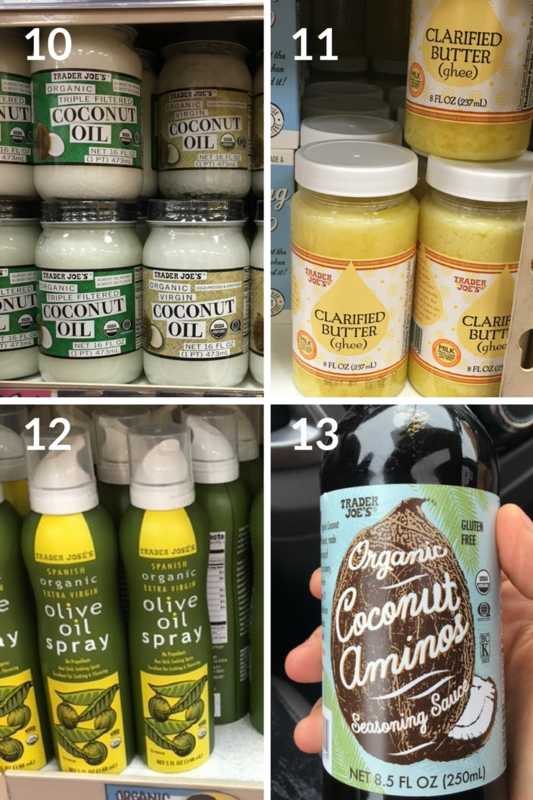 This ultimate Trader Joe’s Whole30 shopping list is more of an in-depth look at items that are ‘convenient’ Whole30 compliant foods, or things to break up the Whole30 mundane rut. *Items may range from store to store. PHEW – got all that? Here’s one final tip, go shopping without the kiddos 😉 I apologize for the blurry photos – it happens when you’re in a hurry shopping with a toddler and an infant. But you get the gist! 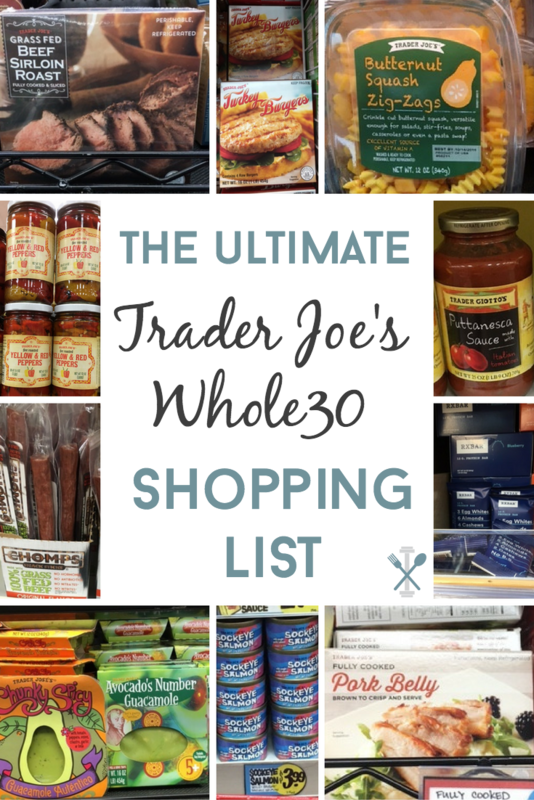 Enjoy the ultimate Whole30 Trader Joe’s shopping list and happy Whole30’ing! Interested in more Whole30 meals that you won’t see on the blog? Follow me on Instagram! 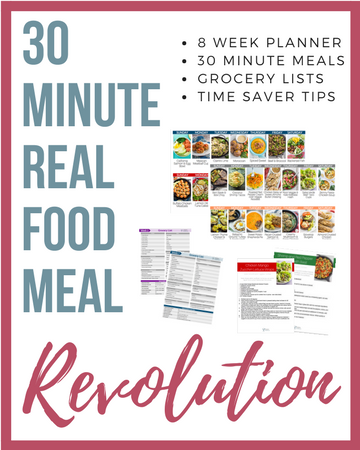 This is so sweet of you Chrissa to do such comprehensive planning and guides for those doing the Whole 30. It could be so challenging if you didn’t know what to buy or where to get it. Thank you so much for your info. I was wondering if Trader Joe’s Green Plant juice is Whole30 compliant. We are trying to help our daughter figure out what foods are affecting her body as well as getting ready for Uganda next year. Any info, would surely be appreciated. Thank you for your time and work. I would have to look at the label, I’m not sure if I’ve seen it! Do you happen to know what the ingredients are? Such a great list and well put together, this will help so many people! I use to be such a planner when it came to grocery shopping but now it’s like a fun me time and I always get sidetracked. Haha! I use to love shopping with my mini me before she started school (can’t believe she’s in 2nd grade now) and with the girls in the summer because they pick out new things to try. During the school year though my shopping day is mine and I try my best to enjoy it. 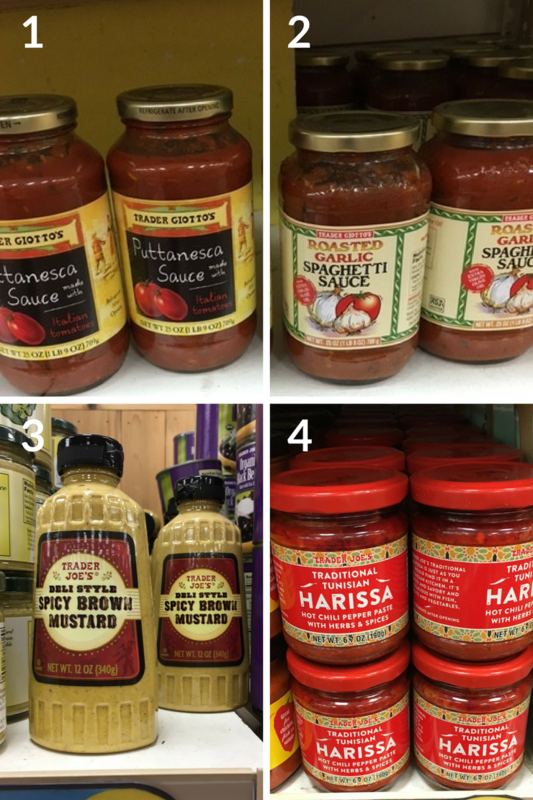 A few things I need to add to my Trader Joe’s list. Did you see they even have coconut oil packets, great for traveling. SOOOO many goodies. 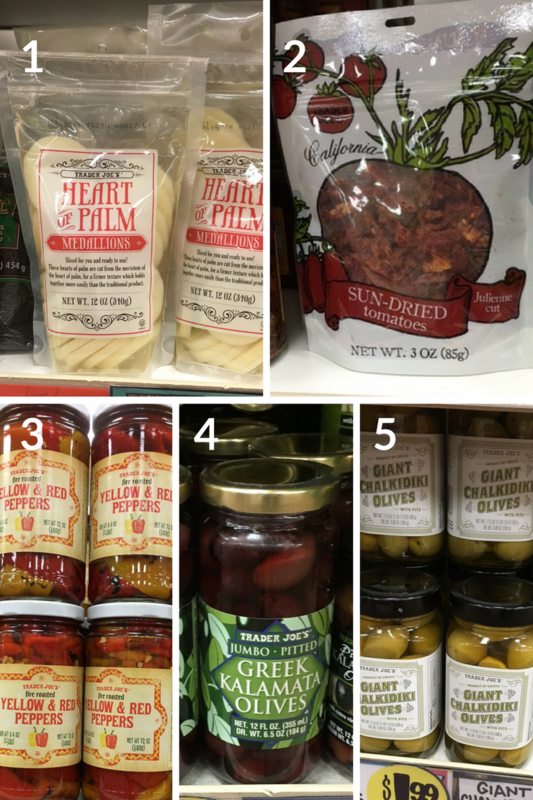 Trader Joe’s is the BEST!! do you find them a bit pricey for some items?? I find Trader Joe’s to be pretty reasonable! I have a question being that I’m new to this. 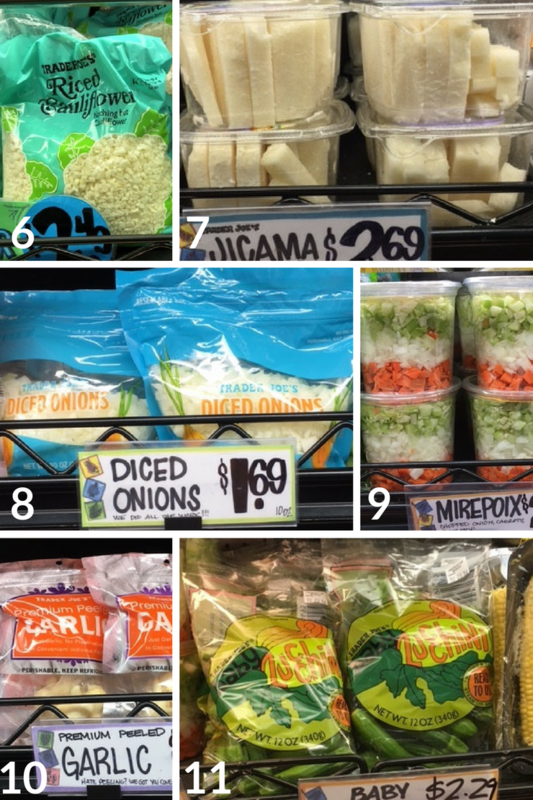 I looked at some of the products above when I went to Traders Joe and found the garlic roasted sauce, coconut cream/milk, and cauliflower rice had sugar not much, but still was confused. Is that the natural sugar so it’s ok to eat that??? Hey Katie – great feedback. I will admit I did this while my kiddos were with me (aka craziness) so I was reading quickly. You are right, the spicy jalepeno looks to have sugar (my oversight). But the others listed shouldn’t when I double checked just now. I will have to change the jalepeno one. Thank you so much!! Thanks so much! And CHAAAAA no point when someone has done it for ya girlfriend! Awesome list! Heads up though, the coconut oil spray has a non compliant ingredient. I can’t remember what it is as I lay here in bed but I’m fairly certain. Way to go, best list I’ve seen! See, this is why I need people like you to keep me accountable! 😉 You are RIGHT – dang it! Changed it and added the coconut oil packets instead. Thanks SO much for pointing that out Sarah! Just completed my Whole30 on 1/31 and am now in the reintroduction phase. Went on a pizza bender yesterday (so worth it!) but promptly got back on the wagon today. 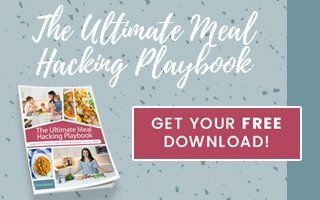 This is hugely helpful to those of us who love TJs and work full time so there isn’t always time to do massive meal preps or forget to take out a meat to defrost. Sometimes you just need a quick meal that you can tear open and whip up in 30 minutes or less! Many, many thanks. 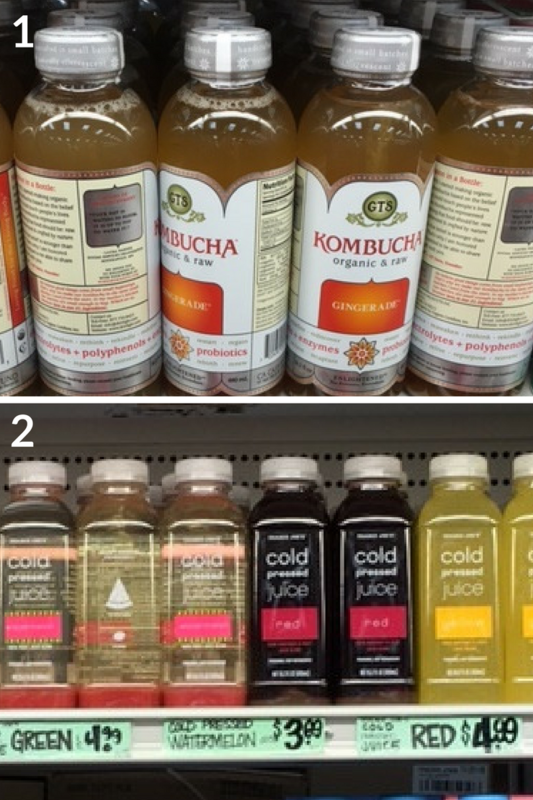 I’m heading there this week to stock up on all this goodness! LOl I’m dying – pizza bender. Yeaaaaahh my hubs and I have a date night (which never happens) so I totally did the whole “GIMME DESSERT ASAP” too. Meh, it happens. I’m so glad this is helpful for you Dani! Congrats on completing Whole30! I’m nerdy and I like things that can be printed out on 1 sheet of paper so I made this PDF. Oh my gosh Annie – this is AWESOME!!!! Go you! Would you mind sending it to me?! Hi, how can I access the PDF? Hello – I do not have a PDF of this, but would love to create one soon! Whole 30 coffee creamer ideas? I use unsweetened vanilla + coconut milk, heat it up in microwave, then use milk frother, yummy, on decaf coffee of course. OH MY GOSHHHHH I want what you’re having! That sounds amazeballs. I like my coffee sweet, so recently I started throwing my coffee, coconut milk and a compliant Coconut Cream Larabar in a blender. Add a dash of cinnamon after you pour and it’s like a latte! There’s a slight nutty texture but so worth the yummy sweet taste. SO happy this is useful for you Courtney! Happy Whole30’ing! This list is super helpful! I noticed that one of the ingredients in the chunky salsa is tomato paste — is it safe to assume that this tomato paste is clean? Surely if it had extra ingredients such as sugar they’d be required to list it in the ingredients, right? Hmmmm that is a GREAT question! To my knowledge most tomato pastes don’t have sugar added, so it SHOULD be fine?? But if you were on the fence I’d probably choose a different option. Thanks for your inquiry! Ahhh James you’re so right! My oversight. Fixed it now – thanks for keeping me on top of my game! This is great! Thanks so much for making this list. 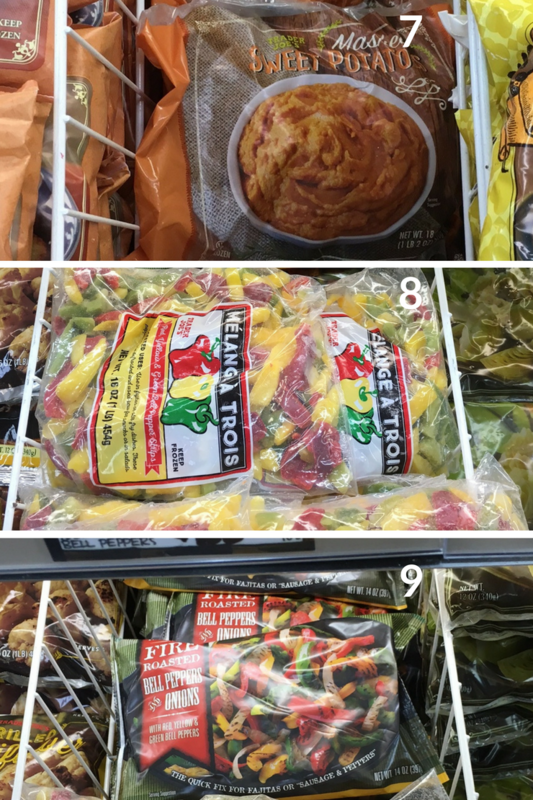 I’m starting my first whole 30 on monday and was wondering how much I could get at TJ’s! Also thanks to those who gave the heads up on a few non-compliant things. And the coconut milk in coffee tip! This really is so useful! My pleasure Heather! 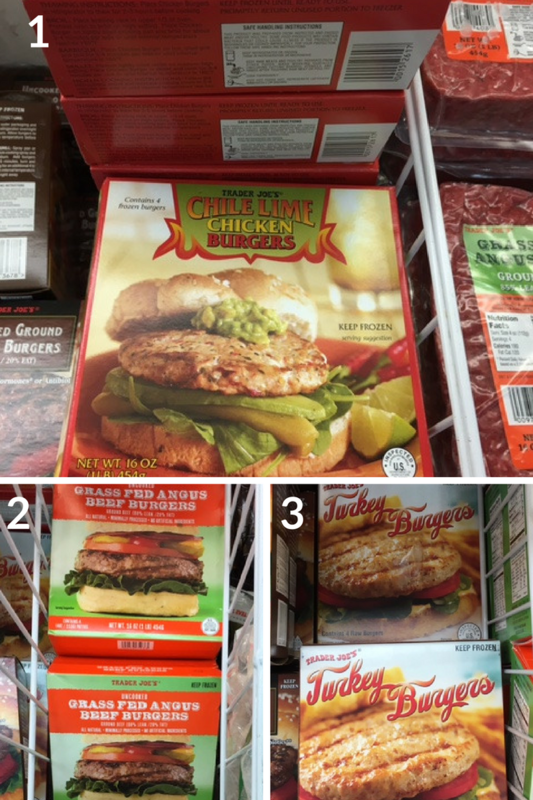 Glad this will be useful for you – I just went to TJ’s today and found even more (new) items that are compliant. They always have such great stuff. Good luck on your Whole30 journey! Hi Chrissa! Thanks SO much for the great list!! Between yours and many others I’ve come across on Pinterest I must say, yours is THE BEST TJ list!!! This is my very first Whole30. I’m almost through day 5. I’ve done Weight Watchers numerous times and couldn’t seem to stick with it. When I read over the gist of Whole30 I knew I had to try it. I’m SO excited for this healthy journey! Thank you for your time and help!!! Oh Rene, I’m so happy to hear this!! Thanks for reaching out and be sure to email or comment if you have any questions at all! Good luck! SHOOOOT! I need to revise. Thanks! Thanks Sandi! I need to revise this list a bit. I appreciate it! Hi there, first off great list! Especially the frozen items. Wanted to let you know the sun dried tomatoes are not compliant. They contain sulfur dioxide, aka sulfites. Shoot I thought I took those off! Thanks for the reminder Chelsea! Hi! Amazing list! Thank you! Question: Can you have eggs while on Whole30? 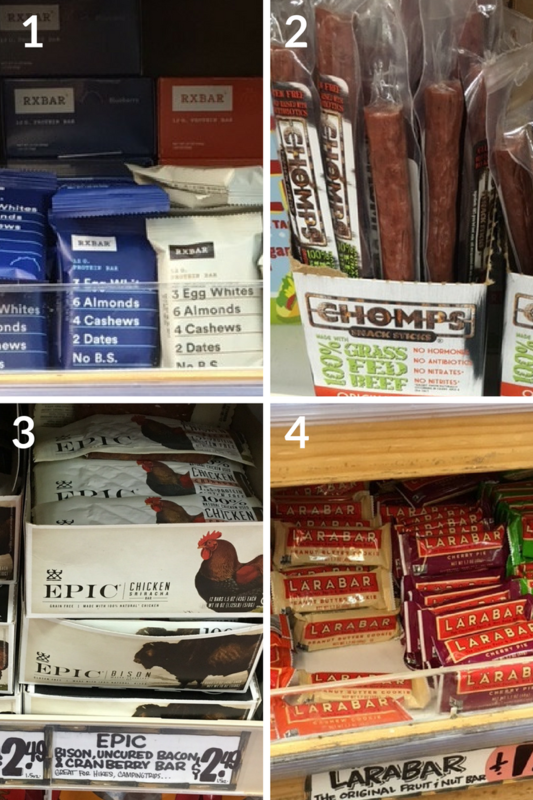 RX Bars used to be approved on Whole30, but not anymore. Statement from Whole30. WHAAAA?!?!?!? I hadn’t heard this!!! DANG! I’ll have to add that to my list of ‘to-dos’ to change. Thanks so much for letting me know! They are still somewhat “allowed” but only as emergency snacks based on what I read yesterday. The ingredients are fine they were just concerned that people were abusing them as a go to sweet snack too often. Still ok for emergencies. Do you have the updated list? THANK YOU!!!!! 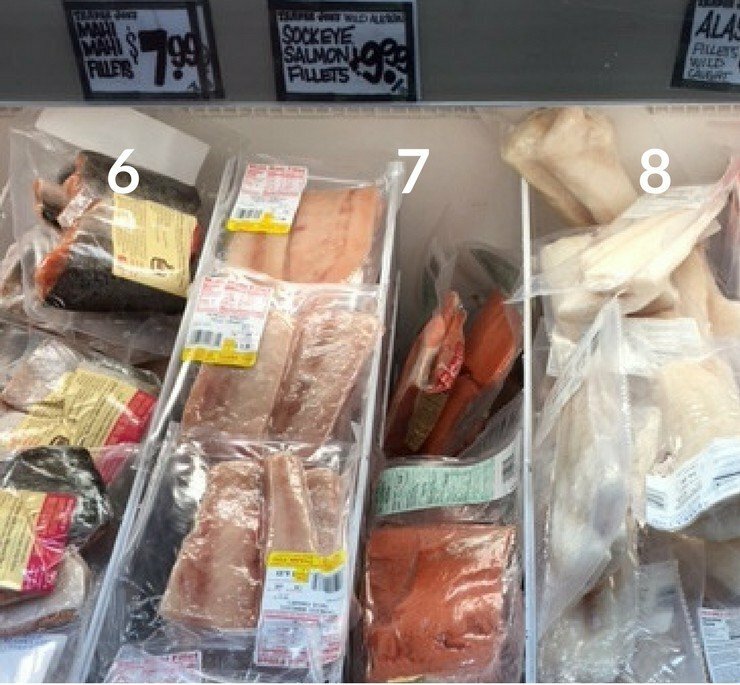 99% of these items are compliant – I have not updated this post yet. On my never ending to do list! This is great! My wife and I are on day 12. 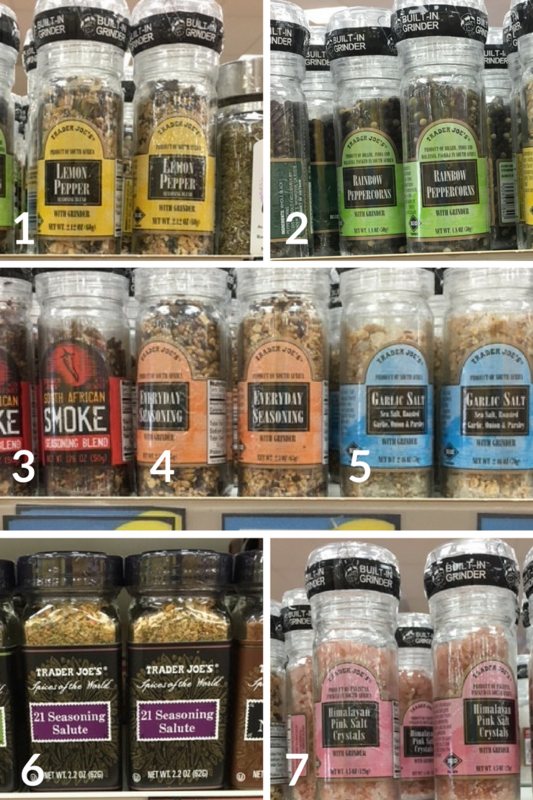 Didn’t realize Trader Joes had so many compliant options. We’re looking forward to the variety, budget friendly, and less-time-for-meal-prep options! Will be stopping by Trader Joes tonight to see what they have. Thanks! On my many lists of to-do’s!! Hi, so TJs has dried fruit bars that have no added sugar. Are these good for the whole30? Also your roasted garlic pasta sauce has sugar as one of the ingredients. Hi Jackie – are you sure you aren’t looking at the nutritional facts? The ingredient list shouldn’t have sugar, but if there is sugar in the nutritional label, it’s natural from the tomatoes. Generally speaking, dried fruit bars are frowned upon during a Whole30 unless used for emergency food. Do you a downloadable option for this shopping list? I’m super new to all of this and I know that this may be a crazy question, but, did you buy all of these at one time? Also, do you have a post where you made recipes with all of the ingredients? I subscribed, I just wanted to know where to start. This is for an entire month right? Let me know when you can. This page is REALLY helpful!! Thank in advance! 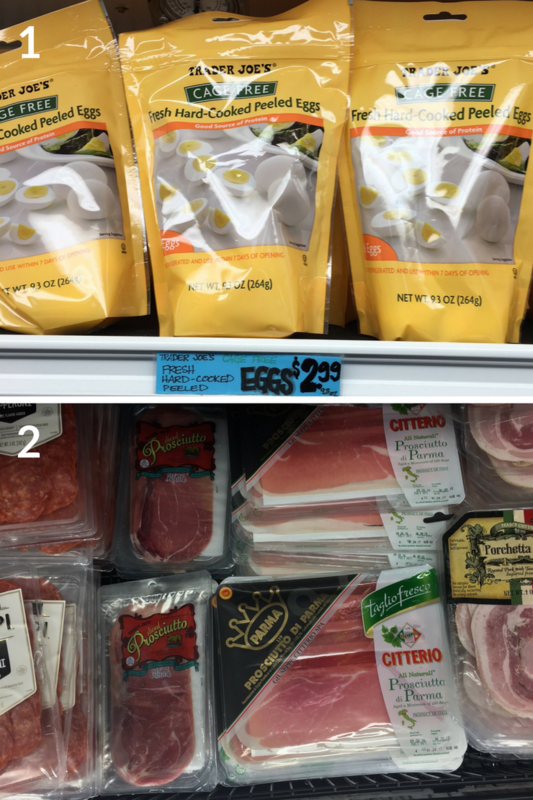 Hi Andrea – no, I only buy what I need when planning meals. Many of my meals have these staples. 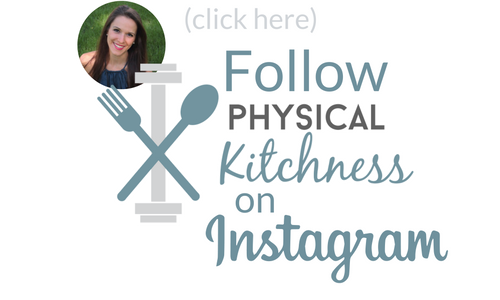 If you use the search bar, I tag a lot of my recipes with certain foods I use, so hopefully that helps! This is so amazing! thank you for putting together such a comprehensive list. Hi Chrissa–you’re my hero for posting (and updating) this. Having come off of all of the holiday binge-eating, I’m looking forward to using this shopping list as my guide to kick-start my diet in the new year. My pleasure Matt! Glad it’s helpful! 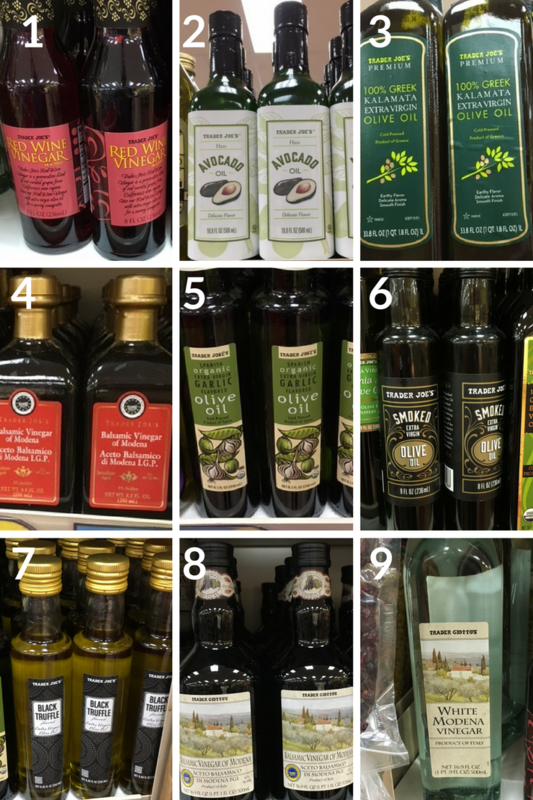 What do you do with the truffle oil and garlic flavored olive oil? Good luck with your Whole30! Does TJs have a compliant bacon that you recommend? I am still learning and planning to start the Whole30 next week. I understand that bacon is a favorite staple.because……well…..everything is better with bacon on it, right?! I don’t believe they do! UGH! Not sure if you’ve done your Whole30 yet or not but Sprouts has a Whole30 approved bacon if you’re ever looking again! 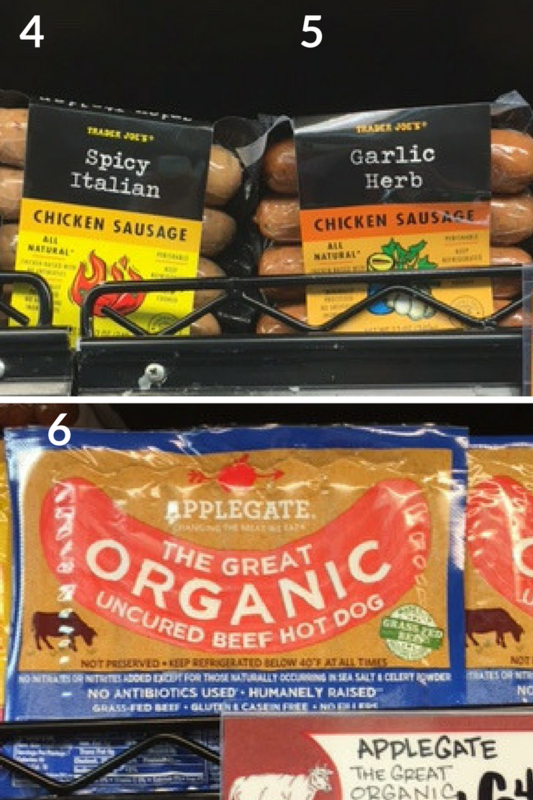 You have done a really god job putting this list together for TJ’s. 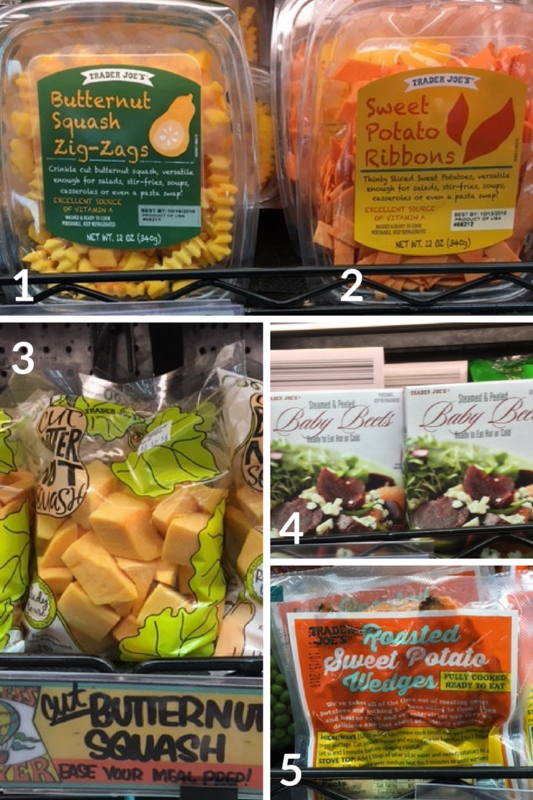 I use PCC and Whole Foods sometimes and spend way to much on way to little. I have done Whole 30 about a year ago and the results for my health were amazing. I decided to do it again but I work so much I was worried about the times in between being able to make meals, when you are busy and starving!! Thank you for your list, it has made my day off shopping trip so much less overwhelming! I’m going tomorrow morning while my son is in nursery School. It’ll be my first TJ visit in over two years, and I really needed the guidance!.